The number of connected trucks is growing steadily, translating into significant impact on vehicle uptime as more customers opt for maintenance contacts and time-saving services that leverage connectivity. “This is one of several signs that connectivity is transforming heavy transport. From the customer’s point of view, the results of Scania’s embrace of connectivity back in 2011 are becoming more and more beneficial by the year. Better uptime and smarter planning means improved bottom line – and – more sustainable transport,” says Karin Rådström, Executive Vice President and Head of Sales and Marketing at Scania. The total rolling fleet of Scania vehicles drives a whopping 2.9 billion kilometres every month. In 2011, the corresponding figure was just 62 million kilometres. It’s the wealth of data provided by vehicles’ on-board connected devices that allows Scania to provide tailored services such as Scania Maintenance with Flexible Plans, vehicle servicing that is based on real-time operational data and actual vehicle usage. “Connectivity is invaluable in research and development. The volume of operational data from on-road Scania vehicles is doubled every 20 months. Engineers benefit from all this information when designing new features or improving existing functions. 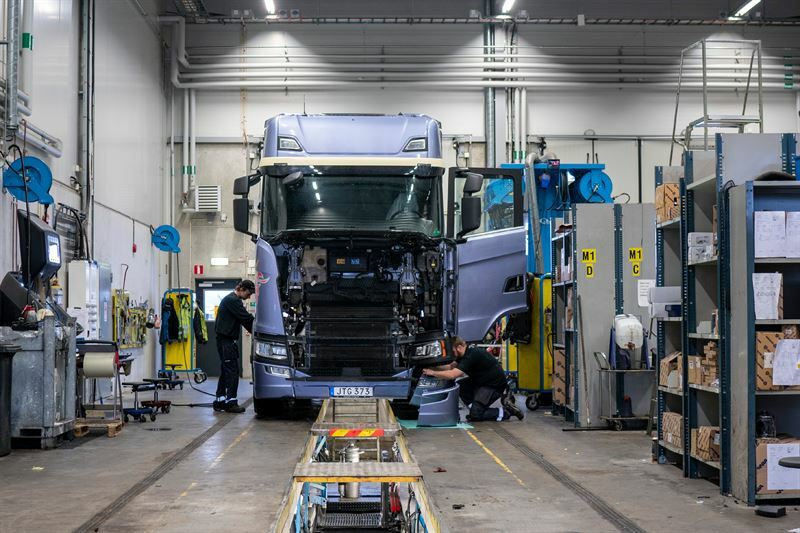 They can then delve into all previous data to determine, for example, component wear and durability as the starting point for an optimal design, ” says Claes Erixon, Executive Vice President and Head of Research and Development at Scania.